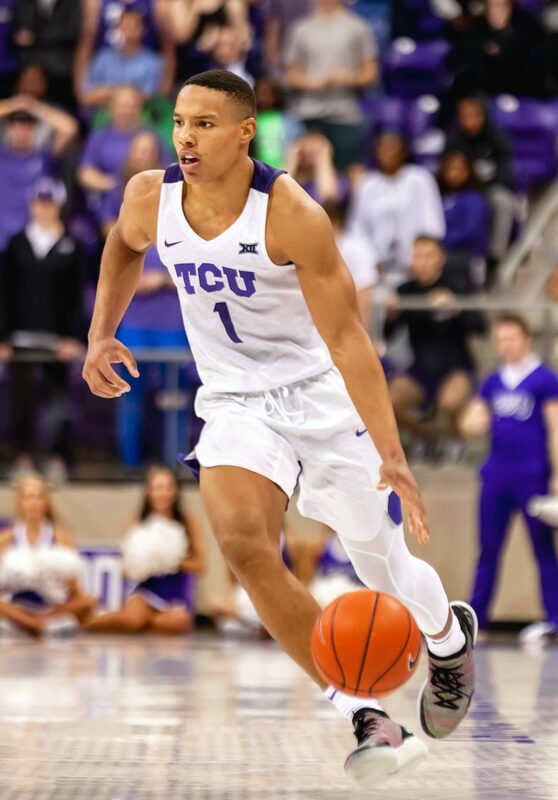 TCU guard Desmond Bane drives to the hoop in the Horned Frogs’ season opener against Cal-State Bakersfield. Photo by Cristian ArguetaSoto. 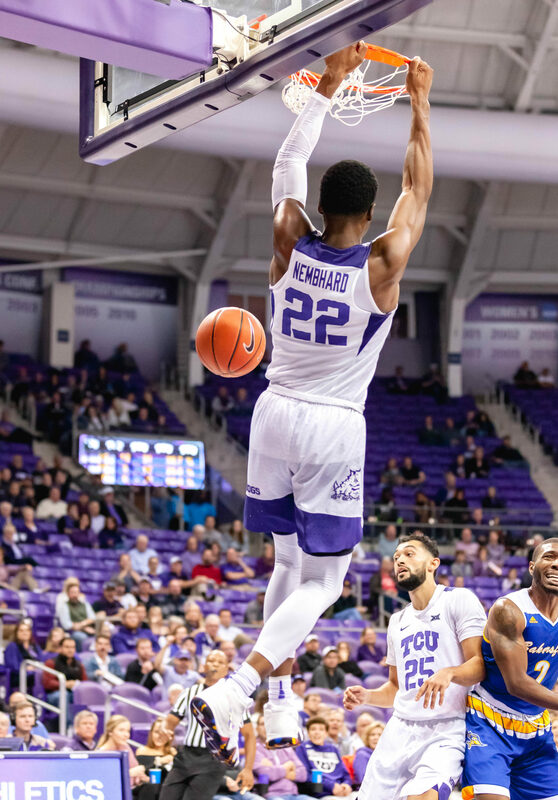 Redshirt freshman guard RJ Nembhard throws down an alley-oop lob from Alex Robinson against CSU Bakersfield. Photo by Cristian ArguetaSoto. 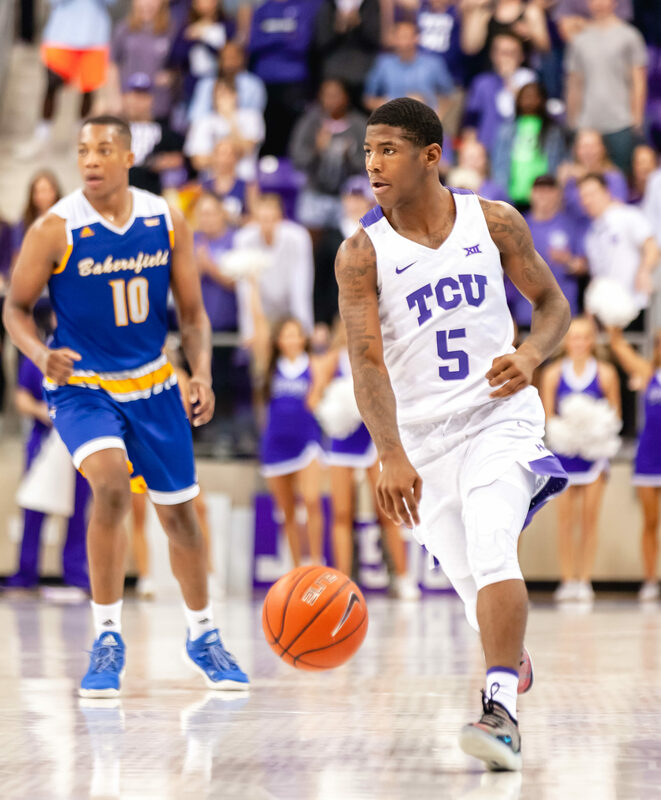 Freshman point guard Kendric Davis leads TCU on the fast-break against CSU Bakersfield in the season opener. Photo by Cristian ArguetaSoto.